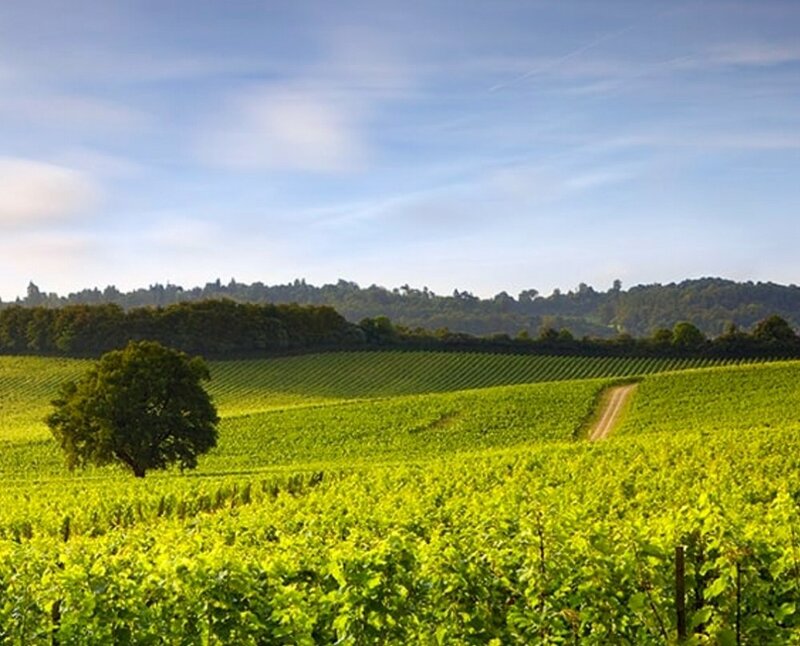 Vineyards of the Surrey Hills is a cluster of beautiful vineyards who excel in producing outstanding wines from the rolling North Downs, in this Area of Outstanding Natural Beauty. These award-winning vineyards invite you to visit and delight in the views, vineyards and wines. 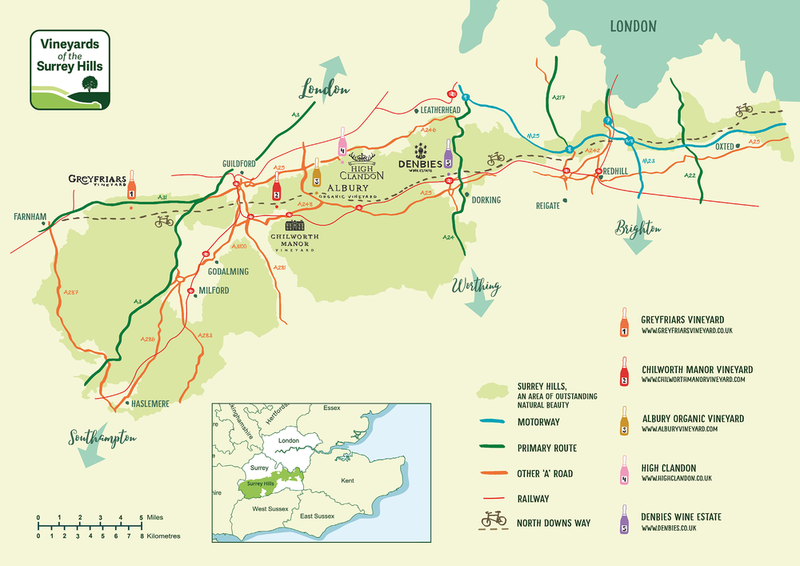 Nurtured on the chalky limestone hills with the same geology as that of the Champagne region, our vineyards have a unique location in the heart of Surrey. We represent the very pinnacle of quality in the increasingly-successful English wine industry, having won top international awards for our wines and wine tourism. Each vineyard has its own unique offerings, with a variety of tours and experiences. Click here for map. Come and enjoy our stunning vineyards, taste the wines, learn something new. Immerse yourself in this area of outstanding natural beauty. 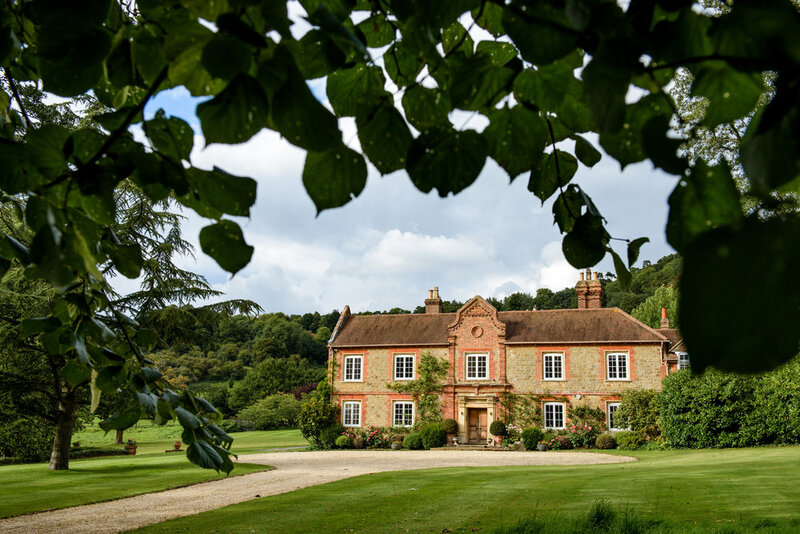 Easy to find and easy to reach, just 20 miles from London, Vineyards of the Surrey Hills are renowned for English sparkling wines, rosés and whites. Chilworth Manor is a house and estate rooted in an extraordinary 1000 year history that reaches as far back as the Domesday Book – its story told through the lives of Saxons, Normans, monks, gunpowder manufacturers, the Duchess of Marlborough, and Sir Lionel and Lady Heald among the most noteworthy. The vineyard, established in 2013, occupies a gently sloping 3 hectare site adjacent to the Manor. Planted in a sandy loam on a base of clay and sandstone, it shares a particular geology with the Val de Reims and Valle de la Marne areas in the Champagne region of France ( the latter home to the famous Bollinger estate). 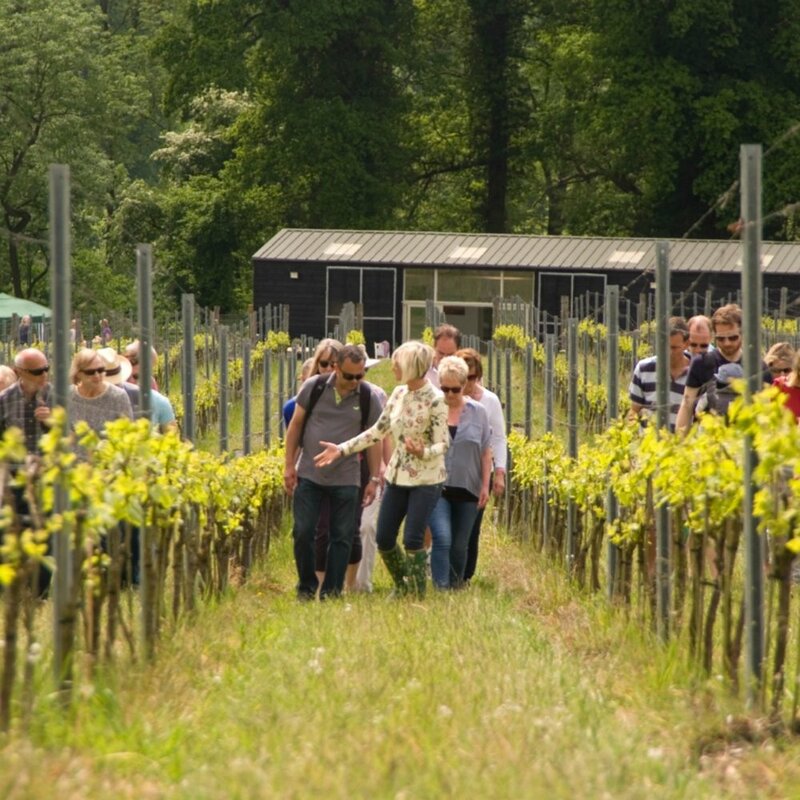 Albury is a family-run vineyard located just outside Guildford,and one of the few organic vineyards in the UK. The vines are the traditional Champagne varieties and Albury is renowned for its top quality, award winning sparkling wines. However it was their still Silent Pool Rosé that first put Albury on the map, having been served on the Royal Barge to celebrate the Queen's Diamond Jubilee in 2012. Albury Estate wines now feature on the wine lists of some of the country's best restaurants, and have won numerous gold awards in esteemed international wine competitions. Our Cuvées are elegant, aged-matured-vintage only, English sparkling wines, which we call the Quintessence of England, our name for an English ‘champagne’. Created in the traditional bottle-fermented method from the classic trio of champagne grapes, and aged for a minimum of 5 years on the lees. The owners of this boutique vineyard, Bruce and Sibylla Tindale, capture the essence of their terroir set in the beautiful rolling downs of the Surrey Hills, by hand manicuring each vine and almost each berry! The focus on exquisite shows; they have won 7 Golds, and 2 Silver Medals in international competitions, over the last four years…and are uniquely twice-over, overall winners of IWC Cellar Door of the Year competition 2017 & 2018. Denbies Wine Estate is located in the heart of Surrey overlooking Box Hill. Established in 1986, the owners of the Denbies Estate recognised the unique characteristics of the North Downs landscape, with its south facing slopes, chalky soil and micro-climate, optimum conditions for wine production. Family-owned and run, the vineyard has since become a benchmark of wine making excellence. As the UK’s largest single-estate vineyard, Denbies produces an range of internationally award-winning still and sparkling wines, red, white and rosé. A celebration of local vineyards offering outstanding wines, beautiful views and a warm welcome.